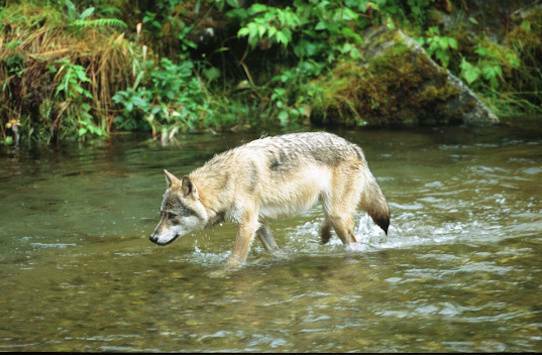 Modern day wolf haters don’t have a phobia of wolves—instead they’re paranoid of any kind of government control of their perceived “right” to exploit the land and wildlife as they see fit. When they act out their murderous fantasies, they’re not just killing wolves, they’re trying to assert their power and reclaim their supposed birthright. My book, Exposing the Big Game: Living Targets of a Dying Sport, includes a chapter in which I peered “Inside the Hunter’s Mind.” What I saw was a selfish, self-serving, self-important braggart with a self-esteem problem. But, when I try to envision what goes on in the mind of a wolf hunter, or trapper, my first impression is of an empty space—as devoid of substance as their heart evidently is. To actually imagine what kind of warped thinking goes on in their head is mind-boggling. But, as with every sadistic killer, there must be a motive for their unjust acts. So next time you see another tweaked and twisted photo of a wolf-killer with an overblown sense of entitlement posing over a dead wolf, remember that it’s not just the wolves they hate—it’s anyone who stands in the way of their getting whatever they want handed to them on a silver platter.